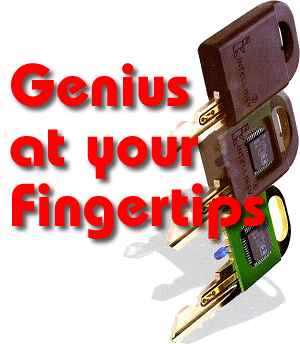 The INTELLIKEY Access Control System was designed in the early 90s, when the Year 2000 Problem was already well known. Accordingly, all of the date and time handling functions in INTELLIKEY's system were created with the year 2000 in mind, and will continue to perform accurately after the turn of the century. Specifically, all dates and times are stored internally as the number of days, hours, or seconds since a fixed point in time, making them immune to 2-digit versus 4-digit confusion. Where 2-digit years are used, the system 'understands' that dates from 90 to 99 refer to 1990 through 1999, and that dates from 00 to 89 refer to 2000 through 2089. This guarantees that the system will function correctly through the year 2089. Given the current rapid turnover in technology, it is reasonably certain that the hardware will have been replaced with a newer version long before then. From the beginning, INTELLIKEY's designers knew that their system would be a blend of 8, 16, and 32-bit processors. Special consideration was given to using platform-independent data types and formats for storing values (such as dates and times) exchanged between components. All INTELLIKEY software and firmware shares a base of common source code for handling date conversions and calculations. This insures that all components treat dates identically.